MyAlaskaTix | Sugar Strings Family Show! Finally, a show for you AND your kids! Pizza by the slice available in the theater Adults: $17 presale / $22 door Kids $7 pre-sale / $10 door Doors at 3:30, Show at 4! The SSSS will be joined by Winterberry Charter School students to perform a few selections and lead us in a dance! We can't wait to play for you and your kids! All ages welcome! Our sound engineer will ensure that the volume stays at a reasonable level, and the show will be performed with out intermission to best serve the young ones. See you at the show! A Message from Kevin Worrell (our bassist): Many Hands Make Light Work! This is the motto by which the Winterberry School community lives. As a family of a Winterberry kid, our lives have been shaped by this ethos. We have been welcomed, supported, challenged to grow, and celebrated by the families, faculty and staff that surround the school. I never expected a school to teach us so much about community, but the values of service, accountability, leadership, selflessness, and compassion lay the foundation for the very curriculum. 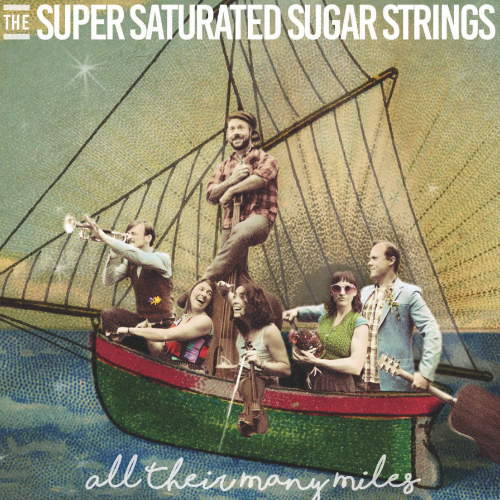 Since joining the Sugar Strings, I have seen these same values demonstrated in the lives of our fan family. I've seen Sugar Fans band together to face trauma and economic hardship, as well as to educate the public, provide for the needy and celebrate the midnight sun. I am overjoyed to serve my fellow Sugar Strings and our fans, and now we are turning to a service opportunity for this amazing school. As a public charter school, Winterberry is required to depend heavily volunteers from families, faculty, staff to operate. The school must also fundraise for teacher training and other school essentials. As a band member and a dad, it seems like a natural fit to ask the music to help me serve the school. With this concert, I hope that the Sugar Family and the Winterberry Family meet each other and discover that you're all related – cousins of community! Just by buying a ticket you will be supporting the school and its mission. My hope is that we will discover the immeasurable importance of a school to its community, and find more ways to put your hands in, together!